GitHub, world’s largest community of developers for coding and web development, has introduced new security practices for its users. GitHub, world’s largest community of developers for coding and web development, has introduced a new security practice for its users. In an attempt to safeguard user’s account security and recoverability, GitHub has now announced a new password and two-factor authentication. GitHub has created an internal version of the website HavelBeenPwned.com which enables people to see if there has been a security breach in their emails and passwords. The creator of the website, Troy Hunt also created a dataset of almost 517million compromised passwords and made them available on the website. 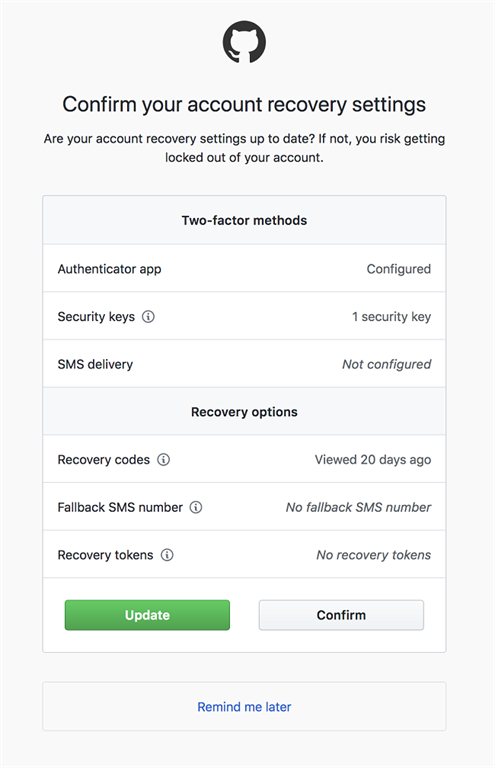 In addition to this, GitHub will also send periodic reminders to its users to review their authentication and recovery options. These options include authentication codes like Fallback numbers, account recovery tokens, and FIDO U2F. If a user loses their credentials for the authentication, they may get locked out of their accounts but since users would be reviewing the credentials ever so often, this can be avoided to some extent. This step assures the users. The improvement proves that constant attention is being given by their team to keep the security and recoverability balanced and that the safety of the fellow developers in the community is their priority. To know more, you can go through the official blog.